The WSOPE TOP Guns Freeroll offers players a chance to win a 2013 WSOPE Main Event prize package worth $17,750 on 888Poker. 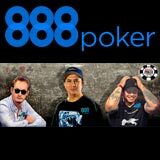 The winner will join the 888 Poker ambassadors: JC Tran, Jay Farber and Michiel Brummelhuis at the 2013 WSOPE Paris. This offer runs for a very limited time as the tournament takes place on 23rd August, make a deposit of at least $10 to get your tournament ticket to the $17,750 WSOPE TOP Guns Freeroll. This August players can play the $50,000 Giant Freerolls on 888 Poker, new players get $8 free plus a free tournament ticket for the 888Poker Giant Freeroll. Join the 2013 WSOP November Nine finalists and 888 Poker ambassadors JC Tran, Jay Farber and Michiel Brummelhuis in Paris for the WSOP Europe 2013. To qualify for a tournament ticket to the WSOPE TOP Guns Freeroll, players must make a deposit of at least $10 using the correct promo code when making a deposit. 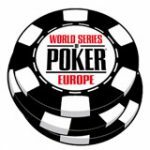 WSOP Europe satellite tournaments are also available starting will buy-ins starting from $1, buy-in directly every Sunday. 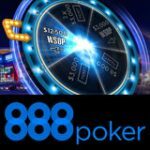 Download 888 Poker - get $8 free plus a tournament ticket to the 888Poker Giant Freerolls, available to new players no deposit needed. TOPGUN3 - for first depositors. TOPGUNS - for players who have deposited previously on 888poker. 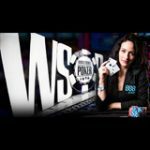 This will get you a tournament ticket to the freeroll where one lucky winner will get an all expenses paid trip to Paris for the 2013 WSOPE Main Event. Qualifying players will be issued a tournament ticket to register for the event located on the Tournaments tab in the lobby. Accommodation for two at Grand Hotel Barriere (breakfasts, , wifi and taxes). The Winner is responsible for arranging their travel documents and airfare to get to Paris from 18th - 24th September, $1,500 in cash will be paid directly into the players account to help cover costs. The 888 Poker Giant Freerolls offer a massive $50,000 prize pool, these free poker tournaments are schedule every Wednesday and Saturday until 15 September 2013. 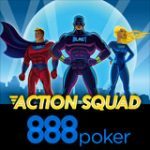 New players that sign-up get $8 free plus a free tournament ticket to the 888Poker Giant freerolls, no deposit required.